This is my Tier List from watching the first Beta Tournament and my own opinions thus far. Is this tier list accurate? Here's my blog explaining why everywhere is where they are. There will be a lot of Smash Bros. comparisons because that's the game I understand most. I'm a bit iffy about day -7 tier lists but I'll comment anyway. First of all Fightin Fœnatics' MPK made a tier list not too long ago which is not too different from yours, he didn't expand as to why he thinks like this but watching some of the group's beta match videos (I kinda jumped from 7 to the beta tournament since I was still catching up when it happened) you can see why he thinks Pom is all over the place in his list. 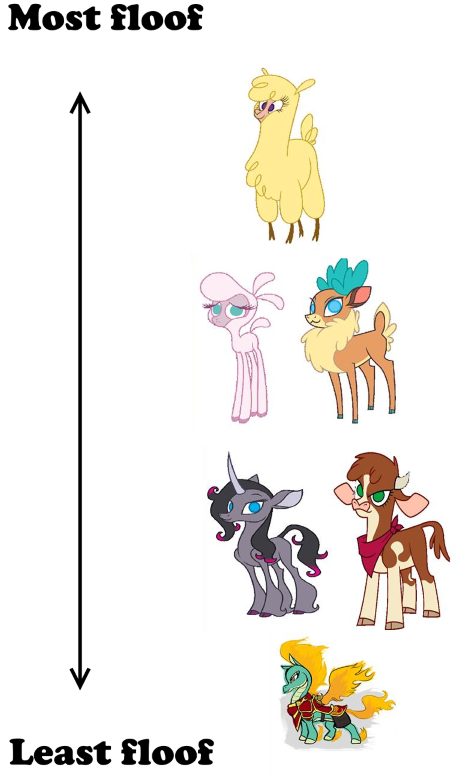 Second, I hope you are willing to give the list a revision later on, and I'm mostly saying this because of Velvet (also Pom, but I already talked about her), who was very underrepresented in the tournament (her main player in the group picked Tian) most likely because she received a complete overhaul the same day the tournament was happening (it's not something you usually see in actual tournaments, but this was a fan effort). I would give it awhile. From what I experienced a game's meta always takes a long while to change drastically unless updates are involved. Marth was considered Low tier when Sm4sh first came out, and it took a year or two before MK Leo changed that. I would give it awhile. From what I experienced a game's meta always takes a long while to change drastically unless updates are involved. See, that's where my confusion arises from this whole post. Making a tier list early in a game's lifespan is usually seen as a very silly thing as people are still figuring out how to work with what tools they have. TFH isn't even out yet, and the beta is constantly undergoing changes to how things work, so nothing is ever a complete solid thing. Characters see more use and less use based on preference right now, or based on if someone doesn't want to put the work in with a character that might be changed. Tier lists are well and good for once a game has been out for a bit, but making one before a game is out tends to dishearten anyone who sees their character as "low tier". The wording of the list is what bothers me here, as "high tier" and "low tier" are pretty... nondescript ways of relating strength. A tiering system that uses like... S, A, B, C, D, etc is much more of an open way to understand what is being said, without making the characters seem too weak if they are only two tiers below something else (example, A+ is two tiers above A-, but both tiers would be usually considered a good place for a character). Obviously I'm biased in one way or another, but the groupings of the character strengths has been pretty close, so stating that any one character in TFH (even just at this very moment of not-release) is weak is... pretty incorrect. Everyone is viable, some have a slight edge in some matchups, but it mostly comes down to player skill. I definitely look forward to how the community evolves with the meta, and am looking forward to everyone's opinions on character balance! Yeah, I'm not a fan of tier lists this early, especially when the full release isn't even out yet. Not to mention, this isn't even taking in account patches, updates, and the like. In my opinion, tier lists should be released after the game has been out for quite a while. Let the meta have some time to breathe and flourish before we start taking hard looks at frame data and tournament appearances. Tianhuo, Oleander - "Can you do a magic series combo? Good! You can jump right in and learn the nuances as you go!" Paprika - "Okay, so a magic series combo doesn't work as well, but as soon as you get used to using specials as launchers/linkers, she's still pretty intuitive"
Velvet, Arizona - "So... in order to understand this character, you really need to go into the lab and work out what to do in a few specific situations. You need to understand how your resources are gained and spent over the course of a typical round. But once you understand these things, expect to run a train over your opponent!" Pom - "You need to go into the lab and study every option to make this character usable at all." This is the tier list I'll use from now on, though Ole should be a lot closer to *pulls into the drive through as children cheer* *Orders a single black coffee and leaves*. In all seriousness, that tier list at the top seems fairly accurate for the previous version, though I'd put Pom a bit higher just because doggos are amazing. In this patch, it literally just dropped, and no one knows how to Velvet anymore, which throws the whole thing off. summoning her damage dealers and leaves herself far too venerable to attacks. I really mean it, paprika has the worst neutral game of all characters (this is the main reason; in every fighting game, the best characters are always the ones with the best neutral game), her projectile game is almost null, and her only strength is her reset potential but.... WHICH CHARACTER DOESN'T HAVE MIX UP POTENTIAL AFTER KNOCKDOWN? Damage? other chars have way more dmg and even get more combo extenders when that green bar is full. Her lvl 2 is as useless as velvet's lvl 2. Well, the same could be said of any fighting game where there's a person with a bad/mid char that always gets far on tourneys, but it'll only get you so far thou. Enh, I think you oversell your point, here. You place too much importance on projectiles; Paprika might not have a lot of zoning potential, but with cartwheels and teleports, she has a lot of difficult-to-counter footsie options. She can also dash backwards, which is an option that I think you massively undervalue. You also undervalue her okizeme. This is a character that eliminates jab, the only universal, free challenge option on wake-up. Add to that her short-hop mix-ups, cross-ups, command grab, and frame-traps, she has more tools than really any other character in the game. It's not even that important that she might not have the overhead options of, say, Tianhuo or Arizona when she can do things no other character in the game can do. For one thing Velvet's lvl2 is amazing, given the rest of her kit. For another thing, Pap has even more follow-on options after her level 2 than Velvet does, so I'm not sure what you're getting at here. You kinda have a point on damage, in terms of actual output, but you discount her terrifying throughput. Off one solid hit-confirm, Paprika can take a whole round just off of overwhelming her opponent with decision points that they can't even be sure are coming up. I don't think anyone's here saying she's the best character in the game, but she's got the tools to win very consistently. She's far from bad. Thanks for some input there, Ph00t. Paprika is absolutely rad. Like Song said, I'd mirror Cam's opinions in that it's somewhat matchup based, but she's got relatively even ones across the board save for Olly IMO. Her neutral is... pretty good, actually. It's as good as it needs to be. She can microspace really well with her run, and also has a backwards run, giving her even more spacing potential. 2b is a pretty solid move that can even stuff the occasional air approach with its hitbox. Paprika absolutely steamrolls in the right scenario, and even in her Olly matchup the fight can be decided by a single touch. She has what is the only 50/50 in the game where the only prior setup is putting the opponent into stagger, which she can do out of every combo relatively easily with 6a, and averages ~1500 damage a combo before super, passing 2000 if she does and going into a six way oki after level 1, and on top of THAT she averages 800-900 damage a reset. She doesn't need a strong neutral with that much steamroll potential. Her High/Low is okay for what it is. You can play a good game with 2a and command grab, even doing tick throws to keep your opponent on guard against everything you do. Heavy cartwheel is the fastest grounded overhead in the game and has the damage to count, too. If you're playing Pap right, your opponent will be pushblocking absolutely everything because of the fear you can instill. Paprika's level 2 right now is fairly mediocre for its intended purpose of gift delivery, but never underestimate basket burst. I could like, extol the virtues for an hour of catching someone at not-full JD with it, but basket burst also creates a minefield of gifts that Paps benefits from massively given that many of her more unsafe moves become a lot more safe, and rolling 6 pots is chip damage heaven. It can also be used as a free escape from corner pressure, since you can use it to warp to the far side of the camera and have what's basically an explosion of chip damage to cover you, and you can block out of it. It is kinda bad to use for tossing gifts, which seems like its primary purpose, but basket burst more than makes up for it. Paprika's AA moves are slightly lacking, but 6a is a good AA on its own, and usage of medium cartwheel can stuff air moves before the opponent has a chance. Using it when you're anticipating an opponents move leads into a full combo on a pretty dang optimal starter, too. Generally, I end up forcing the opponent into a far more grounded approach, and generally blocking a medium cartwheel while airborne leaves me able to block against most characters. You can even try to go into launcher if they block it for a frame trap attempt if you're really concerned about them mashing out. ... Projectiles? Um, if you're trying to play a projectile game with Paprika, something is wrong. Her gifts aren't intended to be used in a projectile game, they're intended to aid in locking down the opponent. Dropping a gift on someone basically wins you neutral for as long as they're on top of it. I think Paprika is a great character. She's not bad, and in fact i'd say no character in this game is bad. She just happens to lack in neutral for a very good reason. While it's true that a good neutral is fairly relevant to a characters use in a game, it's not a be-all-end-all. Yun from Third Strike typically ranks as 1 or 2 across most tier lists, and has since 2000. Heck, in general, in SF4 and SF5 the best characters weren't neutral oriented. 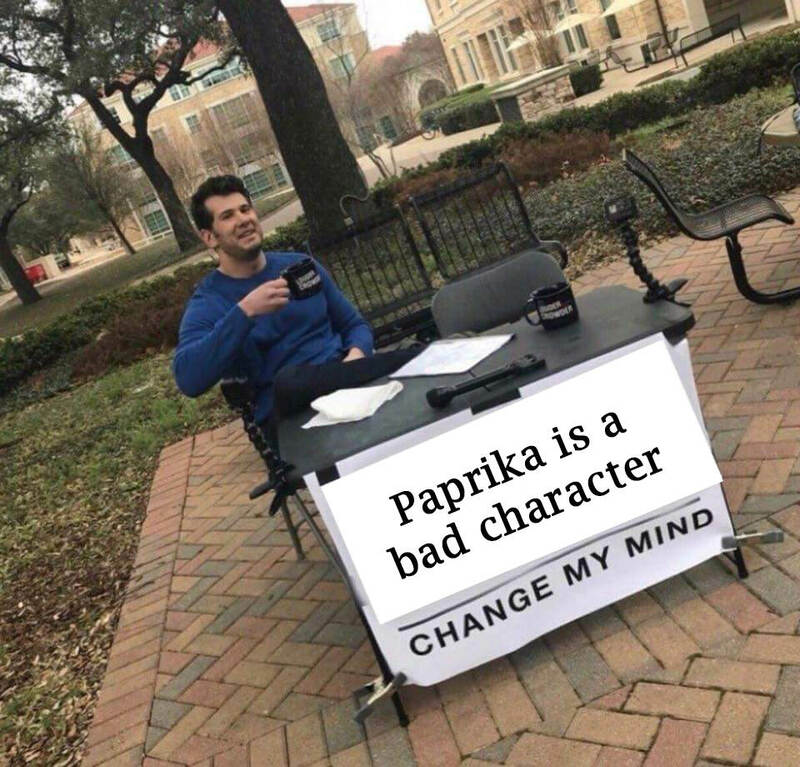 You're trying to set a standard for characters that isn't really there, Paprika is fine and she fits into her role great. I'd imagine with a small roster and a smart indie developer in touch w/the community the cast should be well balanced. Something I think is cool. For me the best character is Oleander. She has a strong mix of everything. Powerful zoning, reliable air combos, great neutral reach, best teleporting, meter advantage with great supers. She's slow, and at point blank range she's weak. But between projectiles, reach and teleports that is rarely an issue. I thought about it for awhile and honestly I think the list for it is less of a typical list and more of a super complicated hexagon. What I mean by that is, is that there is no awful character in this game. They all have super apparent strengths and weaknesses that it's more of match-up based things rather than objective best. Some characters start with an advantage against other characters and whatnot, so whichever character you picked you're gonna need at least some decent match up knowledge and that can get you far in matches regardless of who you pick.